Our tree, cut in the back pasture, decorated very carefully with only the lightest unbreakable ornaments, and much-loved by children who do not remember what a real Christmas tree is supposed to look like. ← Well, that was just cool. 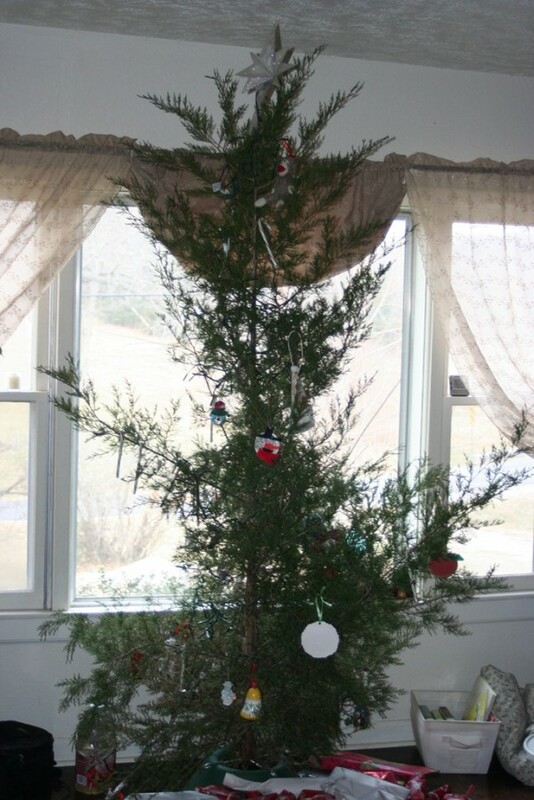 This is more like the Christmas tree we had as kids!! We loved it..